Nestled in the heart of the Sierra Tramuntana mountain range overlooking the Sóller valley, Fornalutx considers itself to be ”the prettiest village” in the whole of Spain. And it is hard to disagree as this authentic little town is just postcard pretty. 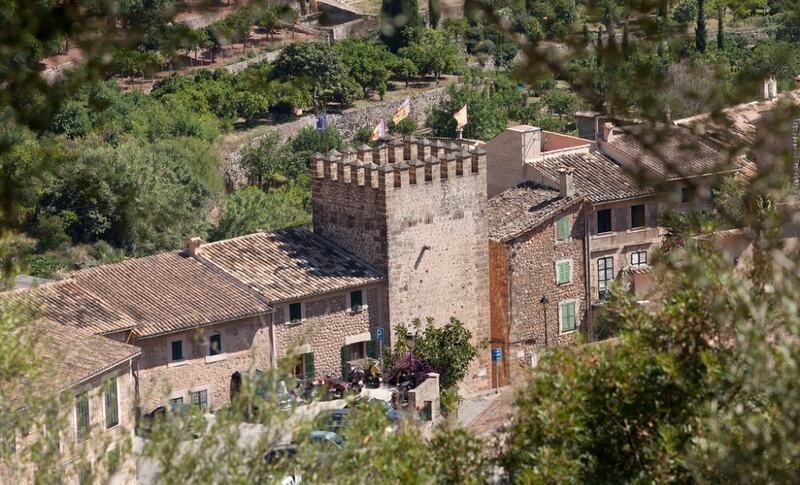 Fornalutx and the surrounding area is, without a doubt, a site of great landscape and architecture. 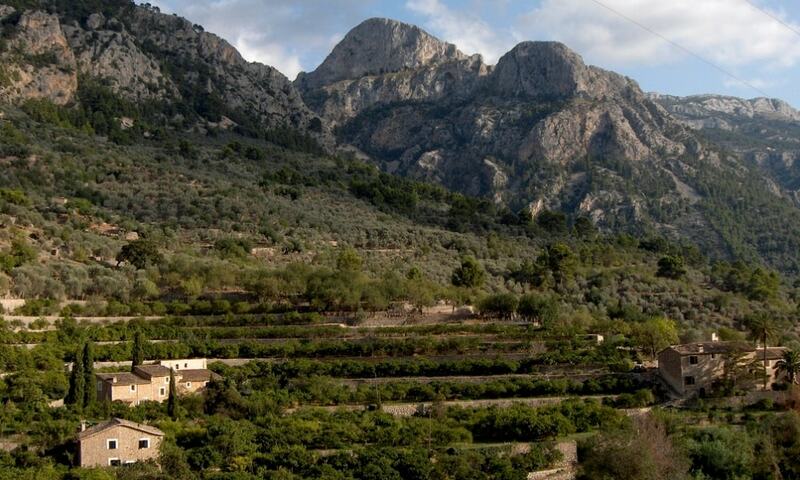 With its stone houses and roofs of red tiles combined with the sweet scent of the orange blossom wafting in from the surrounding valley orchards it provides a rustically traditional Mallorcan charm. Because of its location combined with breathtaking views, the area is sought-after among the second home buyers. Fornalutx property market includes typical stone townhouses dominating in the town’s centre and small fincas. There is a larger variety of big and luxury villas in the surrounding countryside. The average price for a Fornalutx property ranges from Average price per sqm. in Fornalutx €2,928 0% properties#: 2 last change on: 19 Apr 2019 €2,928 per square meter for an apartment to Average price per sqm. in Fornalutx €2,928 0% properties#: 2 last change on: 19 Apr 2019 €2,928 per square meter for a house; you can also find investment opportunities for around Average price per sqm. in Fornalutx €3,947 0% properties#: 4 last change on: 19 Apr 2019 €3,947 per square meter. The most notable estate agencies on Fornalutx property market offering the highest number of listings are Inmobiliaria Coll, Calabri and Mallorca Gold. Conveniently for both residents and visitors, Fornalutx property market range is just a stone’s throw from the (comparative) bustle of the Sóller town. Moreover, since the launching of the Túnel de Sóller, transport links to other parts of the island have become better than ever. The cosmopolitan Palma city and the Son Sant Joan International Airport are just 40 minutes away. Fornalutx is regarded by many not only as one of the prettiest but also as the best-preserved town on Mallorca and beyond. Due to its appearance and excellent conservation, it has been receiving various awards of recognition since the 1980s. 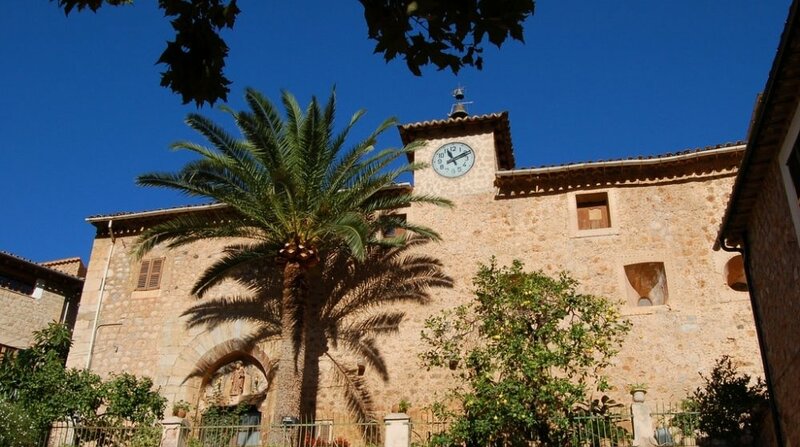 For example, in 1893, Fornalutx was granted by the Tourism Board of Mallorca the Silver Plaque for maintenance and defence of the village. The General Secretary of Tourism awarded the second national prize for staying one of the best well-kept and embellished areas in Spain. The history of Fornalutx dates back more than 1,000 years. Originally, it was an Arab farmstead. Following by the Catalan conquests in the 13th century, the village began to take its current unspoiled form. The local church was built in 1639 and since then started the population of the area. In 1837, Fornalutx became autonomous from the Parish of Sóller, and officially, is now an independent municipal town. 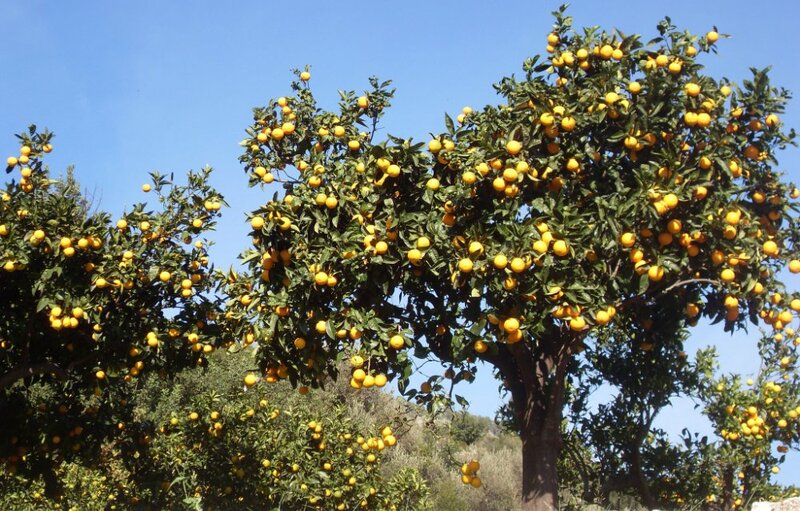 Agriculture based on citrus and olive harvest together with farming and craftworks ruled the local economy until the second part of the last Century. Notably, the village has survived the last 100 years totally unchanged in spite of the development of tourism, dominating in the rest of the island. Here, you can still catch a glimpse of the traditional way of life in this mountain area. Nevertheless, in the past years, this little town of less than 1000 inhabitants has seen the increase in the mainly foreign population. Many of the houses here are holiday residences or second homes owned by expats. The international community is steadily growing with a number of different nationalities. Undoubtedly, the village itself is the main attraction. The entire Fornalutx is simply a delight and its charms are countless. Many visitors come here to walk along its narrow streets admiring the traditional beauty and architecture. The winding cobbled streets and steep staircases of the old centre are carefully decorated with ceramic pots, flowers and plants. 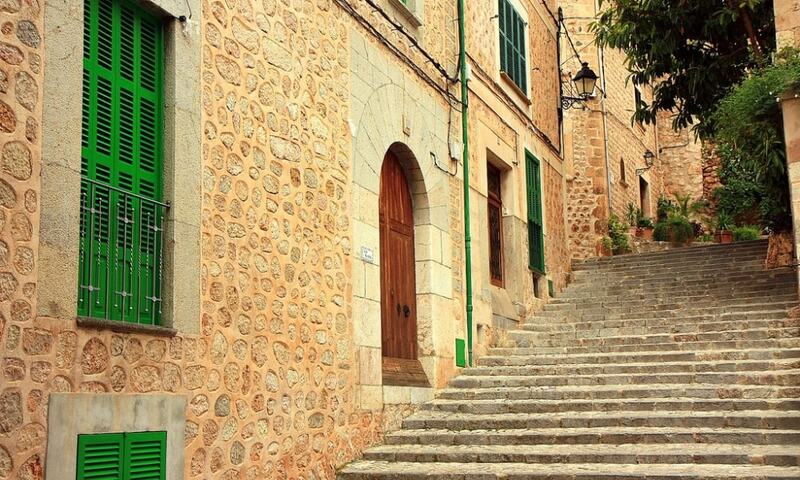 The ancient stone houses with red roof tiles and green painted wooden shutters are great examples of traditional Mallorcan mountain buildings. At the house eaves, you can see specially painted roof tiles named as ”Arab tiles”. This ancient tradition is dating back to the 14th – 19th century period. The small drawings portray different things from animals and plants to people and religious episodes. However, they are not only decorative – each of the tiles has a symbolic meaning and is said to protect inhabitants from the misfortune. One of the most outstanding buildings is the current Town hall, or “Casa de la Vila”, which features a defence tower dating back to the 17th century. The village’s centre is Plaça d’Espanya, the charming small square surrounded by enticing cafés. Nearby, just down the street, there is a famous local bakery of ”Panaderia de Fornalutx” offering freshly baked goods. Overlooking the square, the Parish Church with a big clock on its façade is another notable site. It presents the unique blend of original Gothic features and Baroque renovations. For years, the area has attracted various artists, many of whom have made Fornalutx as their home. Thus here, you will also find some small galleries of art that are dotted around the old streets. Despite its small size, in the town, there is a number of bars and terrace restaurants where you can rest and enjoy the stunning views of the olive and citrus groves and foothills of the pine-clothed mountains. For example, Café Med restaurant offers good cuisine and local wines in a friendly and relaxing atmosphere. Calzone Pizzeria serves a more traditional menu with tapas and fantastic pizza. Among the facilities, there is a small local shop. But for more substantial shoppers, the nearby Sóller offers a range of local art and designer items. The nearest beach is at Port de Sóller, about 9 km down the road. There is vintage tram linking Sóller town to the Port which can make the journey to the beach as pleasant as the sandy beach itself. 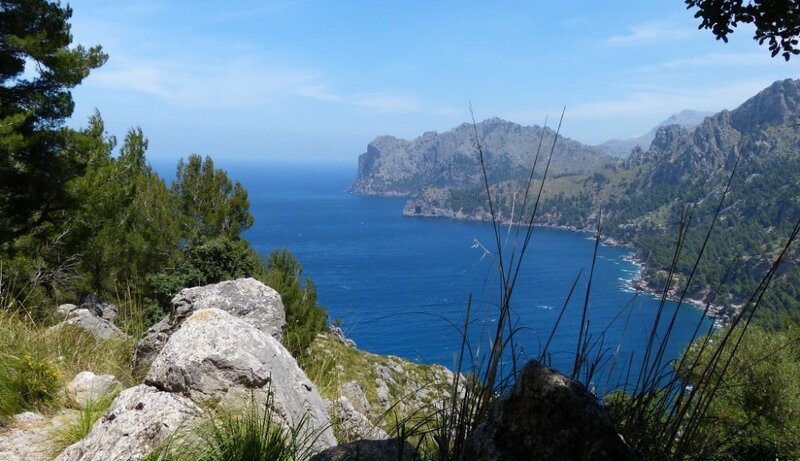 The natural surroundings of this marvellous countryside consist of the incredible valley, which starts from Puig Major, the highest peak of Majorca, and descends towards the Sóller. The orchards and mountain terraces abound in the lush vegetation with the orange and lemon trees, olive groves and charming lanes. This way, Fornalutx is surely a paradise for hikers. It is popular with walking enthusiasts thanks to the range of well-signed trails in the surrounding area, as well as coastal and mountain views. Cycling and mountain biking fans also use the village as their base to enjoy the various challenging routes. Tennis and even horse riding are also catered for in the area. 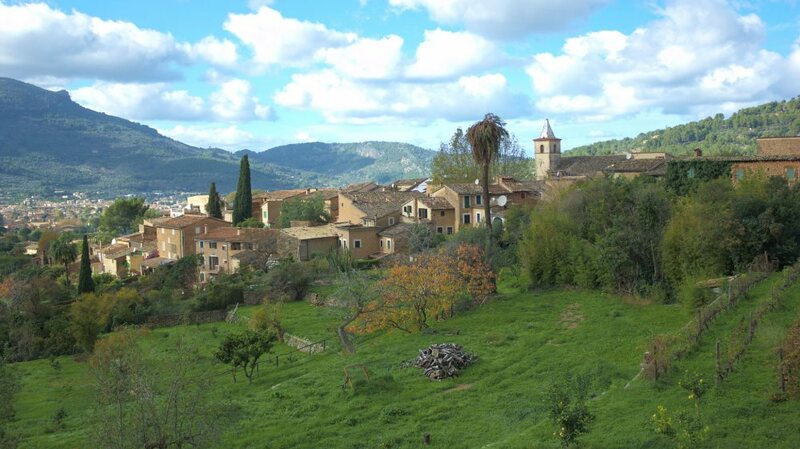 The nearest village of Biniaraix, although even smaller than Fornalutx, is very pretty and worth a visit as well. It preserves its ancient charm and from here you can start a number of great hikes of the island. 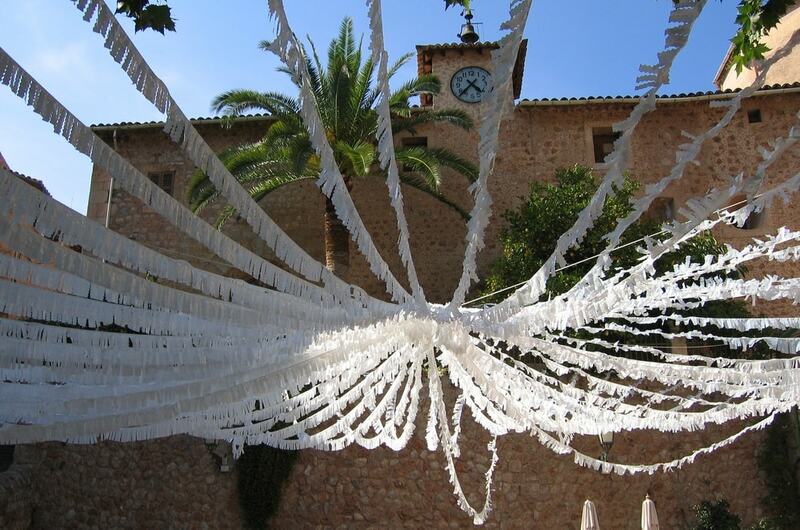 As for festivals, Fornalutx celebrates the fiesta of its Patron Saint on the 8-9th of September. This festivity features craft and art market and plenty of fun activities. On the final night, it is converted into a party venue with fireworks and music. However, if you fancy some more of cultural immersion, head to Sóller because Fornalutx is more about enjoying the Mother Nature. 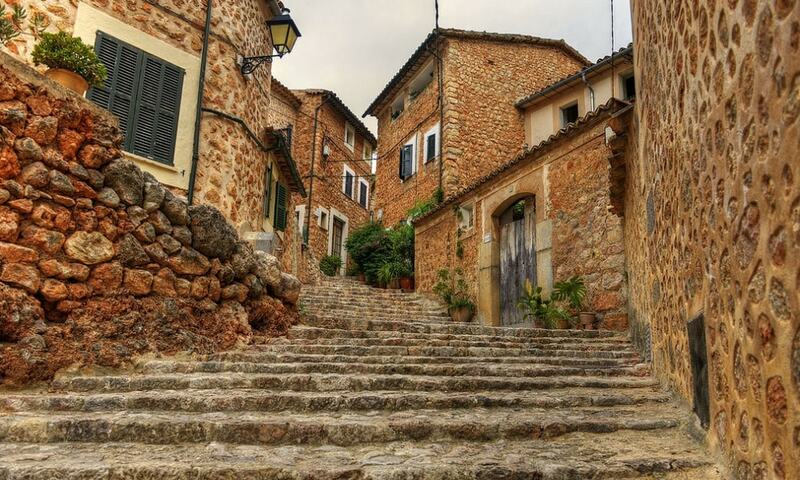 This way, the extraordinarily beautiful and immaculately preserved traditional mountain village of Fornalutx provides an idyllic setting and is a top choice for nature enthusiasts and those who seek tranquillity and authentic Mallorcan atmosphere.